Asia Pacific Resources International Ltd (APRIL) has released a new Sustainable Forest Management Policy (SFMP). The company will establish a moratorium on clearing in concessions where there has not been independent assessment of conservation values. APRIL also promised that it will complete plantation establishment by the end of 2014. 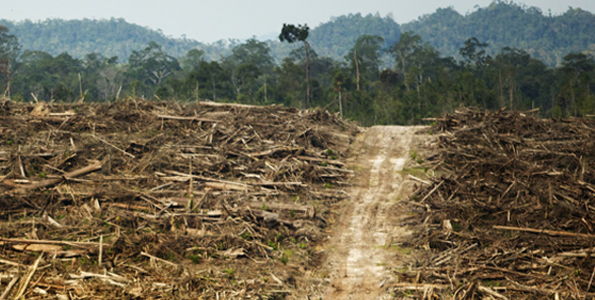 APRIL is one of the most controversial paper companies, having cleared tropical rain forests of Sumatra, violating local communityâ€™s rights, threatening endangered species such as Sumatran Tiger, and releasing huge amounts of carbon into the atmosphere by converting peatlands into pulpwood plantations. WWF cautiously welcomed the announcement, noting that the policy still â€œallows for APRIL to utilize wood from tropical forests in its mill until the end of 2019.â€ WWF is urging APRIL to stop using fibre from natural forests by 2014.